Medical anthropology professor combines art and science to highlight water crisis in South Africa. 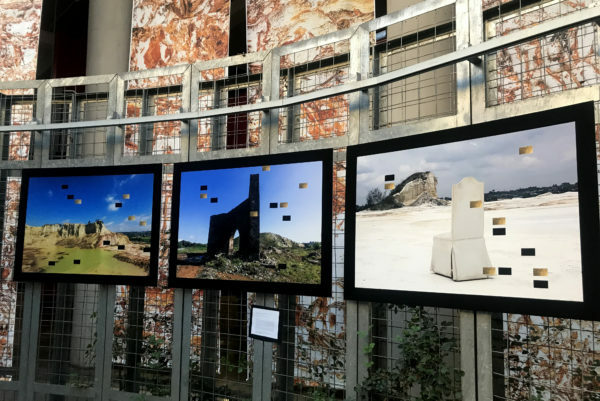 Wits professor Lenore Manderson is raising awareness about water scarcity in South Africa through her art-science programme, ‘Watershed’, which was launched at the Chamber of Mines Building on Tuesday, September 11. Watershed: Art, Science and Elemental Politics is a celebration of the precious and endangered resource which merges research with visual art. The programme uses art installation, performances and science displays to provoke new thinking about water. The launch kicked off with a performance by a dance group called Thirst from Wits Theatre and the Wits School of Arts. Speaking at the launch, Wits vice-chancellor Professor Adam Habib highlighted the seriousness of the water crisis faced by South Africans, especially the poor who do not have access to clean water and sanitation. “One of our problems is the fact that the quality of our water is decreasing. There are… more kids that die of water related diseases than anything else… this [water] is something that is core to the problem that South Africa confronts,” said Habib. Keynote speaker, Professor Raimi Gbadamosi, a contemporary British conceptual artist and writer, recited a poem about water-related deaths of children in South Africa and drowning in pit toilets. “I couldn’t contemplate of a child dying and drowning in a toilet and so I started research on this. I find it deeply disturbing that after the first child, there wasn’t this revolutionary move to remove every single pit latrine in every single school in South Africa because a number of years later, another child died in a toilet,” Gbadamosi told Wits Vuvuzela. The art installations, which include photographs of deserts and drylands, will be on display until September 21. Wits Vuvuzela: Wits jazz quartet wows audiences on two continents. August 30, 2018. Wits Vuvuzela: Double win for Wits production at arts festival. July 29, 2018.